Majid Fateh, M.D., is the founder and Medical Director of the New York Fertility Institute, located in Manhattan s prestigious Upper East Side. His areas of expertise are in-vitro fertilization with special attention to pre-implantation genetic screening, gender selection, treatment of endometriosis, and laser laparoscopy for endometriosis and ovarian tumors. He is also a senior attending physician at Lenox Hill Hospital in New York City and is a Clinical Instructor at New York University School of Medicine. Dr. Fateh completed a fellowship in Reproductive Endocrinology and Infertility (REI) at the University of Pennsylvania in 1986. He finished his residency in Obstetrics and Gynecology at Lenox Hill Hospital, New York Medical College in1984. He also finished his internship in General Surgery at New Jersey College of Medicine and Dentistry in 1981. Prior to that, he received an M.D. degree from Ross University in 1980, and a B.S. in Pharmacy from the University of Wyoming in 1976. 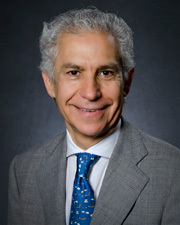 After completing his fellowship, Dr. Fateh became the Director of Reproductive Endocrinology and Infertility (REI) at New York Medical College from 1987 to 1990,and he was also the Director of Infertility at Lenox Hill Hospital, Lincoln Medical Center, and Our Lady of Mercy Medical Center. He has taught laparoscopic surgical techniques around the country. Dr. Fateh has authored numerous publications in peer review journals in infertility and in basic sciences and has presented papers at national and international conferences in the fields of infertility and the environmental hazards on infertility. Dr. Fateh is a member of many societies including: American Society for Reproductive Medicine; American College of Obstetrics and Gynecology; Society of Assisted Reproductive Technology; Royal Society of Medicine U.K.; American Society of Gynecological Laparoscopists; and New York Medical Society. In addition, Dr. Fateh has been selected as one of the Top Doctors of New York by New York Magazine and other publications for many years.